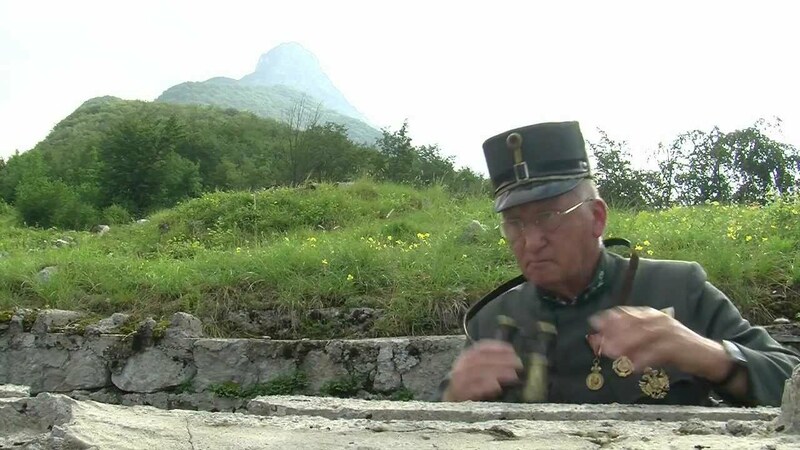 The path which connects the heritage of the First World War from the Alps to the Adriatic Sea, is entered on the UNESCO’s trial list of world heritage. Through the numerous outdoor museums, memorials and cemeteries the stories of the past which was marked by the bloody Isonzo Front, describe the mark that was left by the First World War on the otherwise heavenly beautiful area of the Soča Valley. The Walk of Peace, which is altogether 230 km long, crosses both the Slovenian and the Italian territory. Travelers who will tread the Walk of Peace, where hundreds of thousands of young boys of various nationalities left their youth, their unfulfilled dreams and their lives, will remember the immense suffering and the screams of the dying ones. Let yourself be overtaken by gratitude for peace and beauty of the green nature in the Soča Valley, which was harmed during the First World War by loud explosions and the thunder of weapons. The Walk of Peace in the Soča Valley starts at the entrance to the mining shaft Štoln in Log pod Mangartom and ends in Mengore. In addition to other interesting military remains, memorials and natural beauties it connects six outdoor museums: Ravelnik and Čelo near Bovec, Zaprikraj above Kobarid, Kolovrat, Mrzli vrh and Mengore above Tolmin. The Walk of Peace is marked with information signs and marking poles with recognisable blazes. You may also visit the sights on foot, however, it is possible to go on a cycling tour at some sections of the path. Walking on the Walk of Peace is at your own risk. We recommend setting out on a journey well equipped and well prepared. It is best to be accompanied by a guide from the Fundacija poti miru v Posočju (Foundation of the Walk of Peace in Posočje). Take a torch and a booklet Pot miru - vodnik po soški fronti v Zgornjem Posočju (Walk of Peace – A Guide to the Isonzo Front in Zgornje Posočje) with you.